When a nation-wide uprising breaks out in the Occupied Palestinian Territories, a young woman in Gaza must make a choice between love, family, and freedom. Undaunted, she embraces all three, joining a clandestine network of women in a movement that forces the world to recognize the Palestinian right to self-determination for the first time. 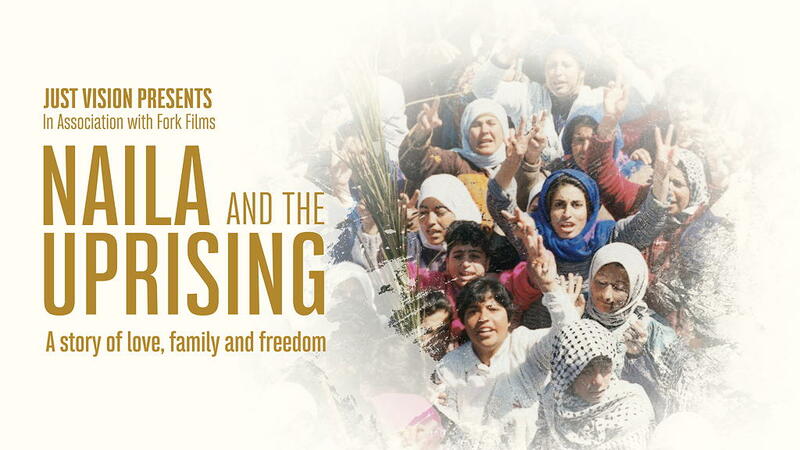 Naila and the Uprising chronicles the remarkable journey of Naila Ayesh and a fierce community of women at the frontlines, whose stories weave through the most vibrant, nonviolent mobilization in Palestinian history – the First Intifada in the late 1980s. Israeli authorities consider the demolition of Palestinian homes in the West Bank as no more than a matter of illegal construction, as if Israel does not have long-term goals in the West Bank and as if the matter does not have far-reaching implications for the human rights of hundreds of thousands of individuals, including their ability to subsist, make a living and manage their own routine. The planning apparatus Israel has instituted in the West Bank serves its policy of promoting and expanding Israeli takeover of land across the West Bank. When planning for Palestinians, the Israeli Civil Administration endeavors to obstruct development, minimize the size of communities and increase construction density, with a view to keeping as many land reserves as possible for the benefit of Israeli interests, first and foremost for the expansion of settlements. Yet when planning for settlements, whose very establishment is unlawful in the first place, the Civil Administration’s actions are the very reverse: planning reflects settlements’ present and future needs, aiming to include as much land as possible in the outline plan so as to take over as many land resources as possible. Such planning leads to wasteful infrastructure development, loss of natural countryside and relinquishing open areas. Israel achieves this end by several means. First, it prohibits Palestinian construction on some 60% of Area C, equal to roughly 36% of the entire West Bank. It does so by applying a variety of legal definitions to vast areas (with classifications occasionally overlapping): “state land” (approx. 35% of Area C), “military training zones” (approx. 30% of Area C), or settlement jurisdictions (approx. 16% of Area C). These classifications are used to significantly reduce the area available for Palestinian development. Second, Israel has changed the Jordanian Planning Law that applies in the West Bank, replacing many of its provisions with those of a military order which transferred all planning authority in the West Bank to the Civil Administration’s Supreme Planning Council and eliminated Palestinian representation on planning committees. Consequently, the Civil Administration became the sole and exclusive authority for planning and development in the West Bank, for Palestinian communities and settlements alike. Third, Israel takes advantage of its exclusive power over the planning apparatus to prevent virtually all Palestinian development and to increase construction density even on the remaining 40% of land where it does not a priori prohibit Palestinian construction. In October 2018, at a meeting at the Knesset, the head of the Civil Administration said that, in accordance with instructions from government officials, there is currently no planning for Palestinians. However, in order to uphold the appearance of a properly functioning planning apparatus, the state argues that plans for Palestinian communities must adhere to the outline plans the British Mandate authorities drafted back in the 1940s – which defined land-use zoning for the entire West Bank – even though those plans are light years away from reflecting the current needs of the population. Admittedly, the Civil Administration has drafted hundreds of Special Outline Plans for Palestinian communities. Yet, while the declared objective was replacing the Mandate-era plans, the new plans were also designed to curtail construction. They are no more than demarcation plans, basically drawing a line around the perimeter of the village’s built-up area on the basis of aerial photographs. Research conducted by the Rabbis for Human Rights research department and was based on dozens of sources. Jerusalem, 29 January 2019: The 27 page in depth study, released in Hebrew today, is based on dozens of sources and analyzes cases of institutional discrimination in ten case studies from nine countries. By analyzing and comparing several core areas of discrimination *, the study established a compelling way of ranking various forms of discrimination and political marginalization based on ethnicity and nationality. 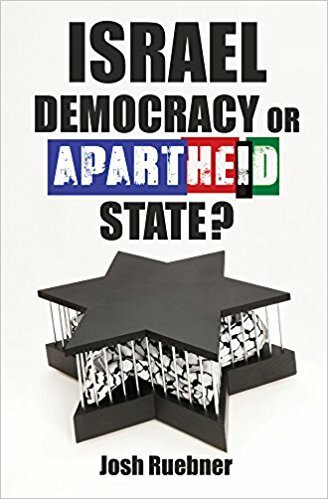 Findings revealed that Israel’s rule over the West Bank is a unique and severely discriminatory regime, which conditions citizenship and basic political rights including the right of freedom of movement, and access to land allocation on ethno-national grounds. Last Thursday, the Senate’s first bill of the new Congress – S.1 – was introduced by Sen. Marco Rubio (R-FL), and it encourages states to punish people for boycotting for Palestinian rights. To make matters worse, the Senate is scheduled to vote on the bill tomorrow, Tuesday, January 8. Sen. Rubio’s new bill incorporates language from the Combating BDS Act, his unconstitutional bill which we defeated in the last Congress. The Combating BDS Act calls upon states and cities to enact laws that curtail our constitutional freedoms, by denying government contracts to people who boycott for Palestinian rights. In response to lawsuits filed by the ACLU, these types of laws have already been declared unconstitutional by federal judges in Kansas and Arizona, and there are three additional lawsuits currently challenging similar laws in Texas and Arkansas. Please pick up the phone right now and call your Senators to urge them to vote NO on S.1. Type in your street address and zip code to get contact information for your Senators. After you call, please be sure to fill out the form letting us know you called so we can keep track of the number of calls generated. Hi, my name is _____ from [City,State] and I am calling Sen. X to urge them to VOTE NO ON S.1 on Tuesday. This bill includes the Combating BDS Act, which was defeated in the previous two Congressional sessions because it is unconstitutional. It encourages states to pass laws that punish people who boycott for Palestinian rights by denying them government contracts. Federal judges in Kansas and Arizona have ruled these types of laws to be a violation of our First Amendment right to boycott. I am especially outraged that while parts of the government remain shutdown, the Senate would consider its most urgent act to be denying us our First Amendment rights. Please ask the Senator to vote no on S.1. Thank you. Why did CNN fire a pro-Palestinian commentator? Why is it so difficult, if not impossible, to have a candid debate about the grim Israeli-Palestinian catastrophe that prevails in our midst? What stands in the way of our capacity to grasp the undeniable need for justice for Palestinians and the understandable fear of annihilation of the Jews in Israel? Is the only option a desperate Palestinian counter-violent struggle against the structural and military violence of the occupying Israeli state? The recent firing of Marc Lamont Hill by CNN for calling for a free Palestine once again opens up this Pandora’s box – with little, if any, hope left for a non-violent solution. Many supporters of the Boycott, Divestment and Sanctions (BDS) movement, such as Hill and myself, see this strategy as a last-ditch effort to avoid more bloodshed. This is especially important in the US context, as $3.1bn dollars of military aid currently goes to Israel to support such an unjust and inhumane occupation. Yet we must persevere and persist in our quest for free Palestinians and secure Jews in Israel. We must put the rich humanity of Palestinians and Jews in Israel center stage by highlighting their equal calls for respect, fairness and accountability. First and foremost, this equality means a wholesale stoppage of the silencing of honest and compassionate voices critical of the lethal status quo. Read more: Why did CNN fire a pro-Palestinian commentator?